Politicians do not enjoy much popularity in many countries. However, there are some significant differences as regards the friendliness people feel for different people in public office. And this friendliness is not always related to each person's political party. 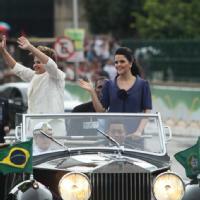 Who is the most well-liked Brazilian politician? Who would you remove from office? Go ahead and get involved and give each politician the score you think he or she deserves.